The 1987 was very close to being a fully-fledged Vintage. 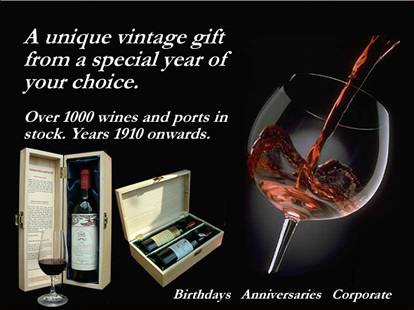 The port wines are balanced and elegant and will provide fine drinking in the medium-term. The result is that the consumer can buy Ports at a fraction of the price of what they would have cost, providing good value for money. These quality Ports would make an excellent 32 year old wine gift for a birthday or anniversary. 1987 was a good vintage for the Italian region. The wines produced are generally of good consistency. Barolos are now fully mature and ready for drinking. In Bordeaux, the 1987 is generally under-rated as a vintage. Had it not been for 14 straight days of rainfall in early October, then the harvest would have been a great one. The wines are characterised by being light to medium bodied, ripe and fruity with low tannins and low acidity. 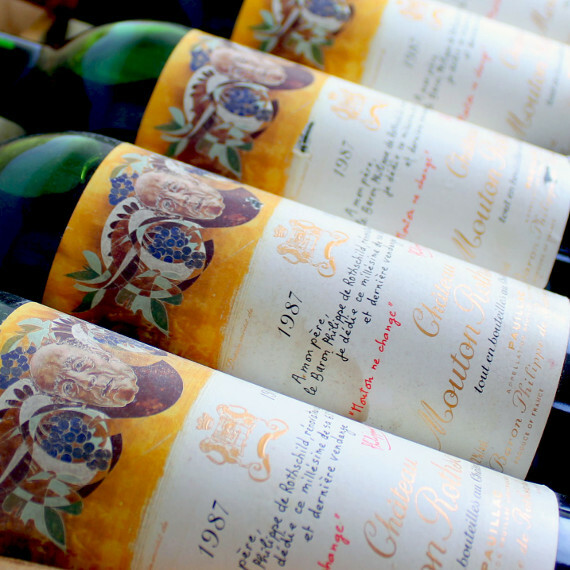 1987 wines are generally overlooked in favour of the great vintages that followed in 1988-1990. However, those producers who adopted strict selection policies produced some very good wines which still make good drinking but should be consumed soon.
" Light brick core. Tawny rim. Delicate leaf/minty nose. Quite earthy and mature on palate. Well-balanced, better than Lafite. Tuscan wine (Italian Toscana) is Italian wine from the Tuscany region. Located in central Italy along the Tyrrhenian coast, Tuscany is home to some of the world's most notable wine regions. This style of Sangiovese differs from its northern brethren due to the ripeness levels it can achieve in southern Tuscany. The result is a rounder and more savory style of wine.